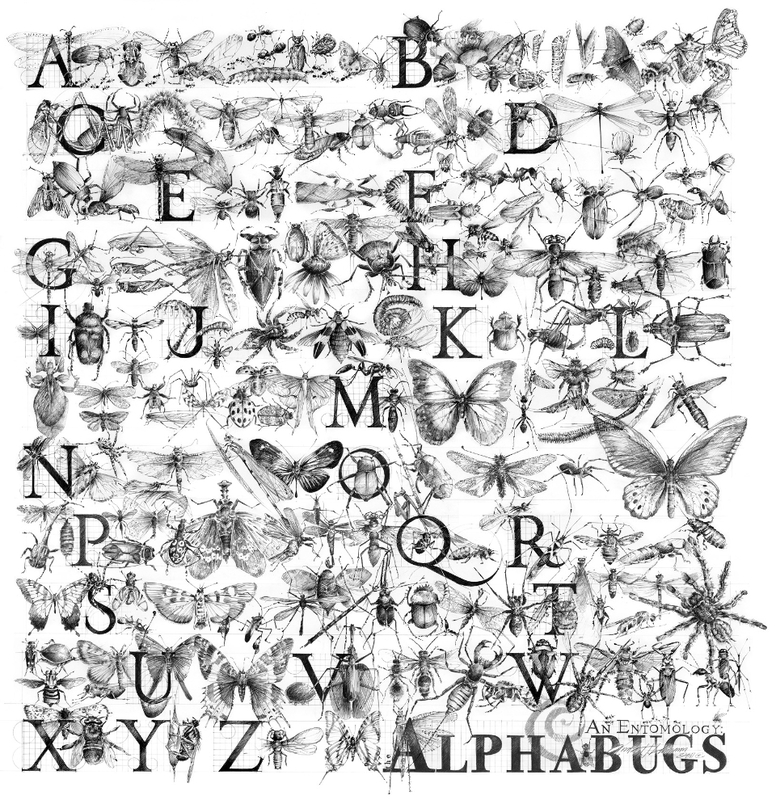 My good friend Anita Lehman likes bugs and letters so she combined both into a new poster edition called Alphabugs, an Entomology. Every arthropod, arachnid, and lepidoptera you can think of is likely included here. 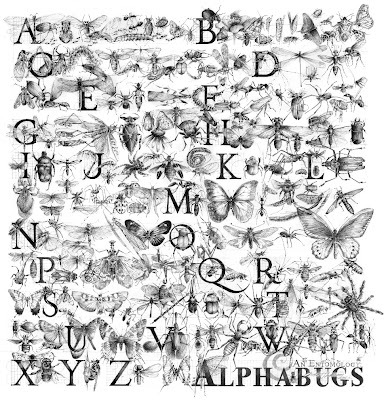 She carefully researched all of these insects and integrated them in alphabetical order. Some are obvious, like the D for Dragonfly or A for Ant, but most are beyond my own bug intel. Many are quite spectacular when you view them up closely. Last December I added a dispatch about her wonderful and imaginative Alphabet City posters of Seattle, Portland and Santa Fe where she drew iconic buildings and places in alphabetical order for each city. See more of her lovely illustration and watercolor work here and on Etsy.